After 30 years’ rapid development, China has become a market that draws close attention from global politicians, entrepreneurs, scholars and investors. Seeing the rise and fall of dynasties, this country has not only successfully integrated into the global trade and economic system, but also gradually formed its strategy, innovation and growth model with Chinese cultural characteristics. 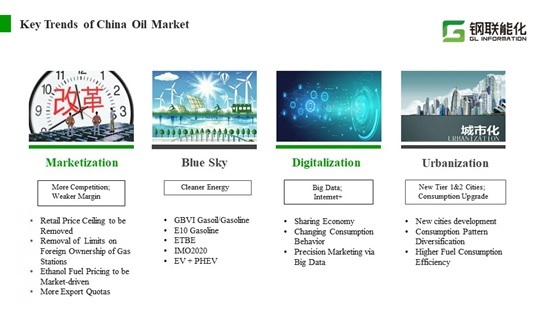 There is no doubt that, both in the past and in the future, the strategic development of energy industry and its associated commodity market plays an important role in the Chinese economic development model. 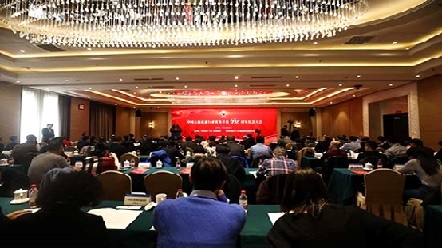 With the further open-up of the market, the volatility and uncertainty is increased in China’s commodity market, therefore the in-depth analysis, which is based on industry characteristics and big data, becomes more important than ever before. 2018 is a rapidly changing year for refined oil market. The industry sees frequently-released policies and volatile price trend. The market participants feel at sea when the “black swan” and “gray rhino” events happen one after another. The opaquer the market is, the more urgent to find the behind drivers. On 20 December 2018, GL INFO attended the commemorative conference for the 40th anniversary of the reform and opening-up of China’s petroleum circulation industry. Ms. Liao Na, executive vice president of GL INFO, was invited to attend the conference and deliver a keynote speech entitled “Revolution Apocalypse of Petroleum Circulation in China and Foreign Countries”. 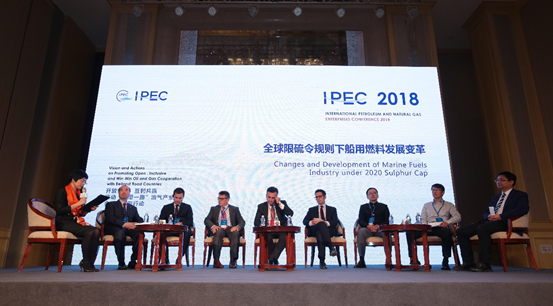 On 17 October 2018, the 2nd International Petroleum and Natural Gas Enterprises Conference (IPEC 2018) opened in Zhoushan, east China’s Zhejiang province. Ms. Liao Na, executive vice president of GL INFO, was invited to host a parallel forum on "Changes and Development of Marine Fuels Industry under 2020 Sulphur Cap"
CopyRight © 2018 glinfo.com All rights reserved.